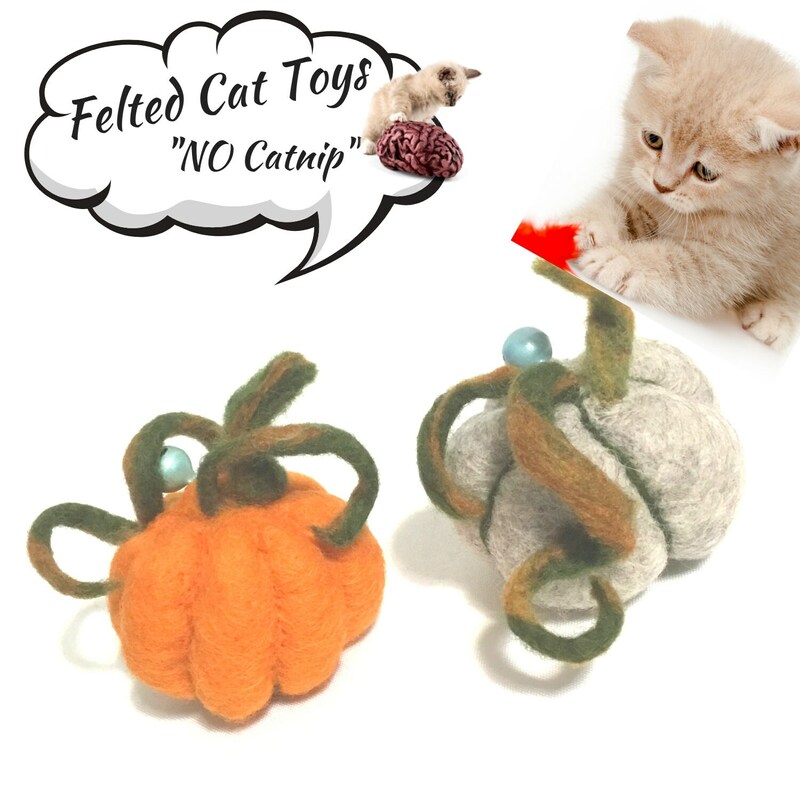 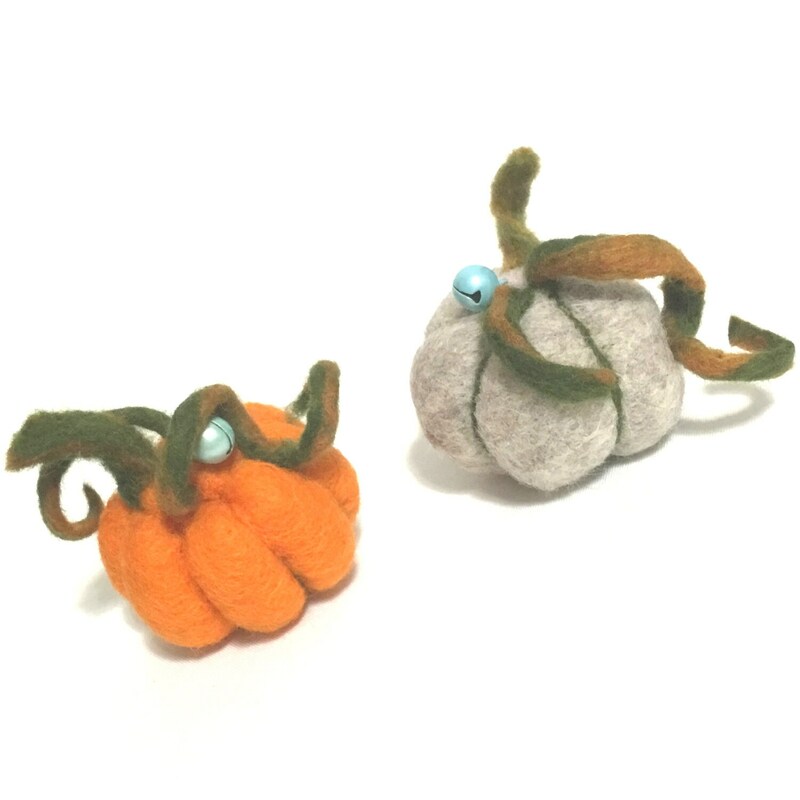 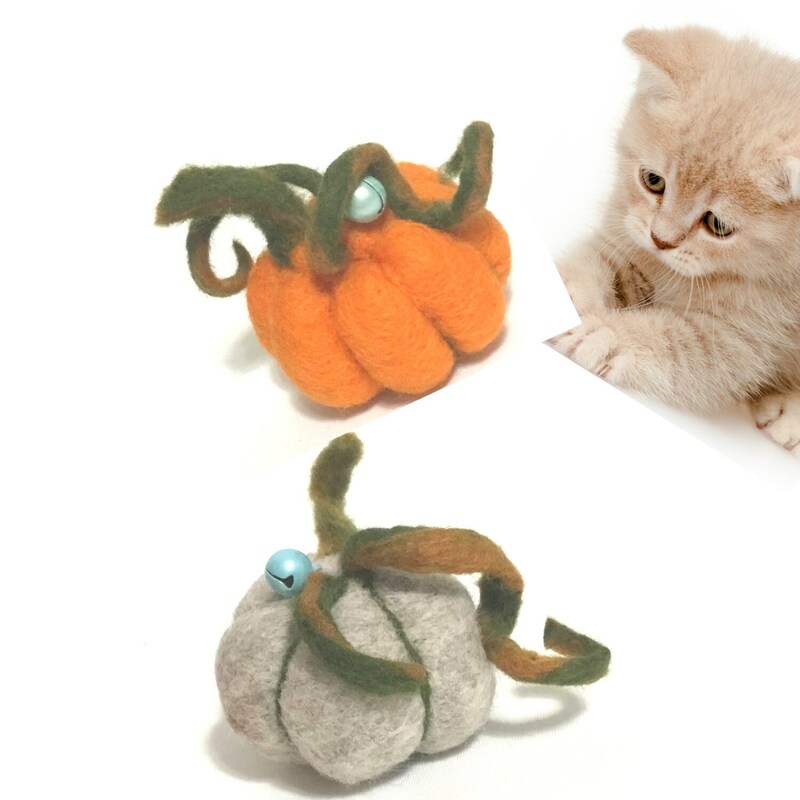 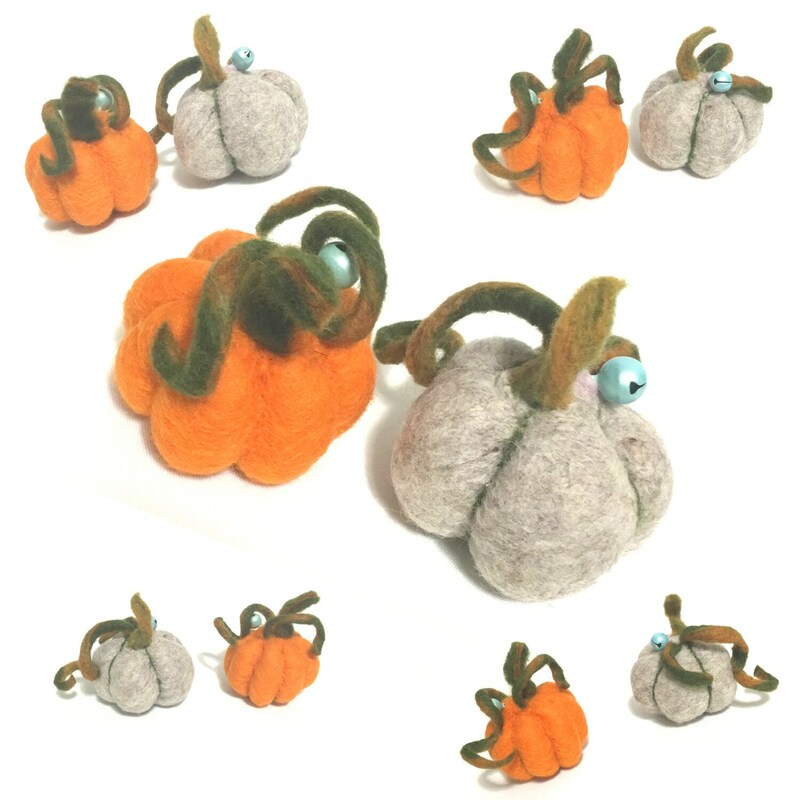 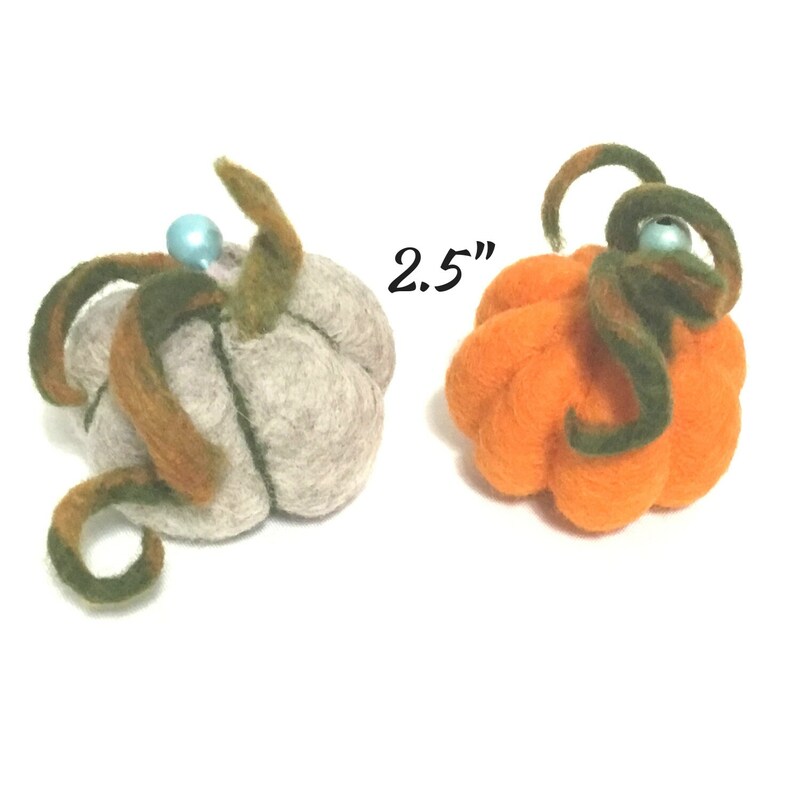 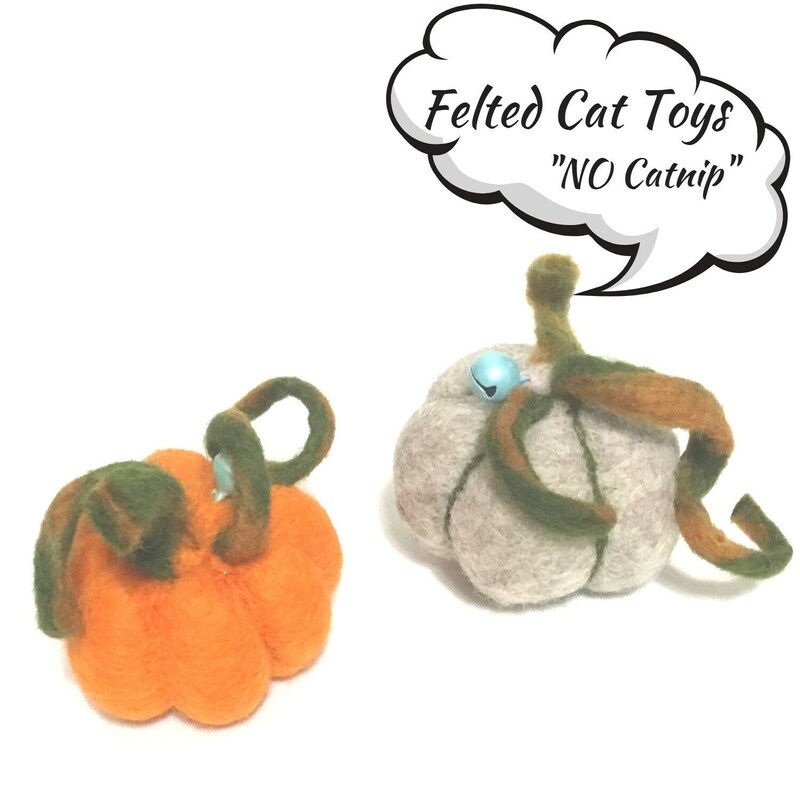 These cute mini sized 2.5" pumpkins are needle felted with NO catnip! 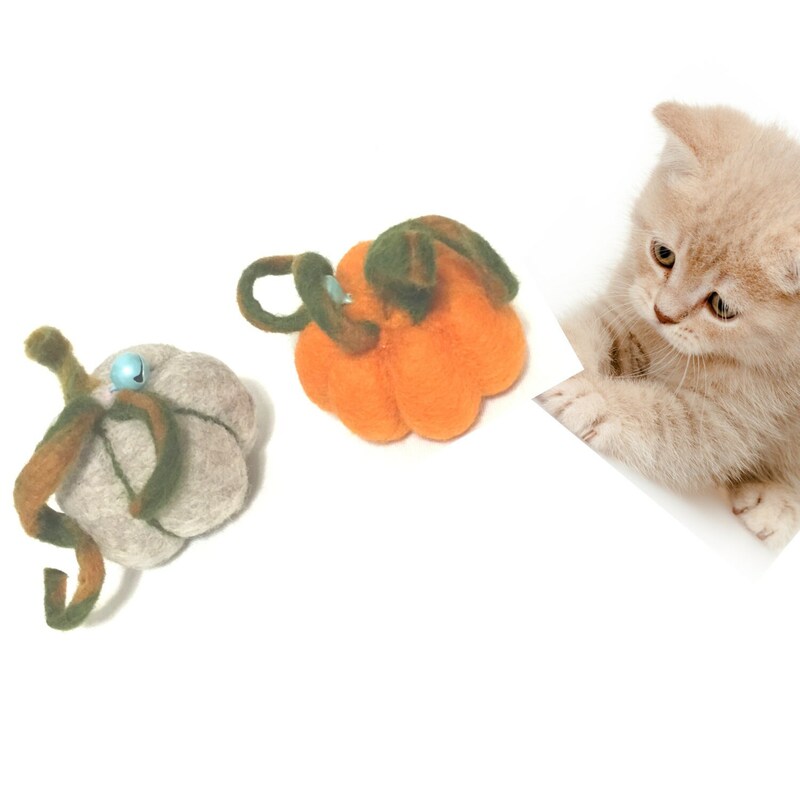 There is a tiny tinkling bell. 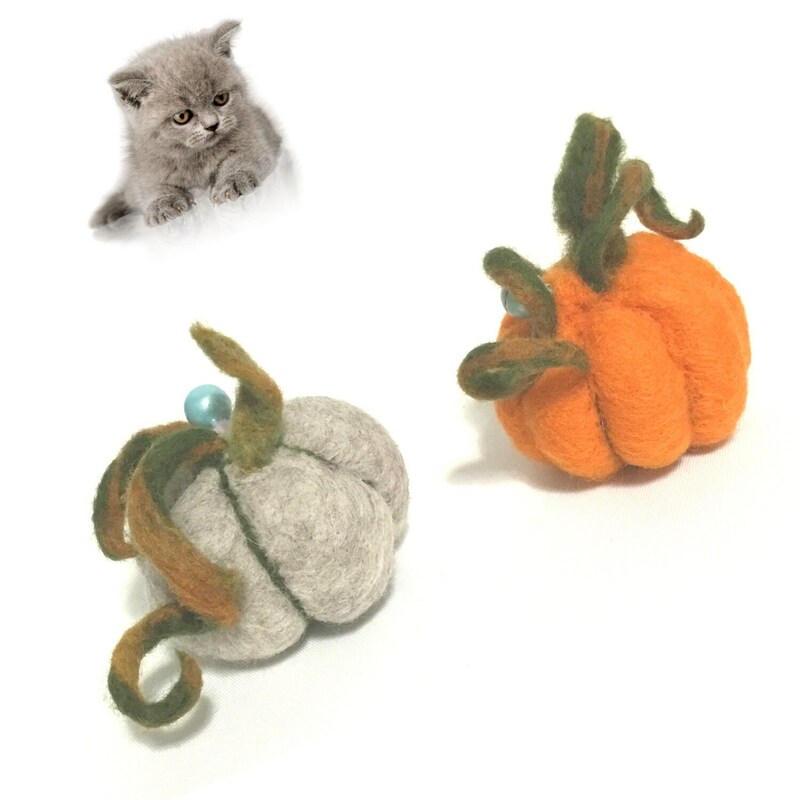 Both are hand felted with Australian Merino wool roving, and you can be sure your cat will love them! 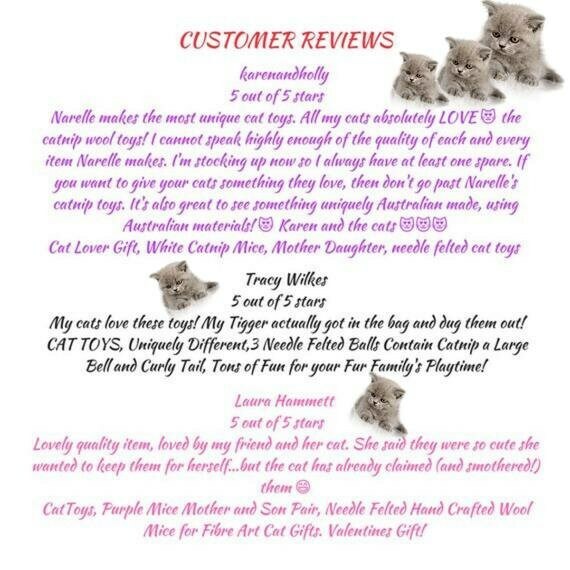 I know our Pet's actually become part of our family, like children to some.